The UN Independent Expert on the enjoyment of all human rights by older persons, Rosa Kornfeld-Matte, has issued a media statement today saying that the financial abuse of older persons is rampant and must be exposed. She also stated that most abuse goes undetected even when there are clear warning signs and many older people are at risk of being abused by their family members or people they trust. She calls on all of us to be more vigilant and report suspected cases of abuse of older people, including financial abuse. 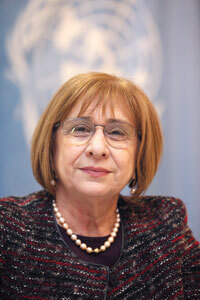 Her statement marks World Elder Abuse Awareness Day on 15 June and can be found on the OHCHR website here.